A recent visit to Microsoft’s website in order to download the latest Windows Essentials package (for Movie Maker, which I still use for simple things) gave me a bit of a surprise: Windows Essentials 2012 will no longer be supported after January 10, 2017. 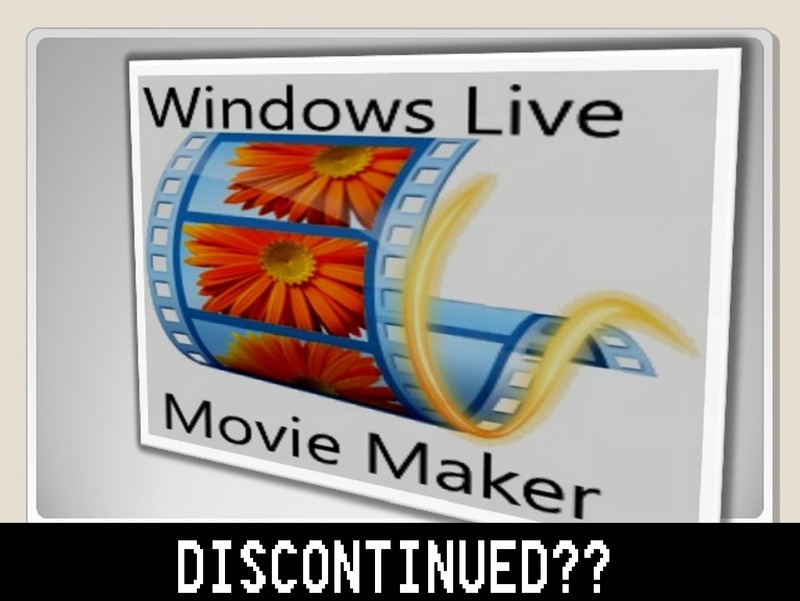 By extension, this means that Windows Live Movie Maker will also no longer be supported. This is kind of a disappointment to me because, like many people, I first got into basic video editing with Movie Maker. Sure, I eventually got into editing with more powerful, paid-for programs, but Movie Maker was always there as a fallback and as something I could use to piece together simple things (like intros and credit sequences) quickly and painlessly. Yet, considering that it’s been a part of the Windows Essentials 2012 package for over four years now, I suppose it really wasn’t a surprise to me to learn that it would, in fact, eventually be phased out. It’s a shame, because it’s a nice little program. Of course, there are several possibilities here. Perhaps Microsoft is coming up with a new version of Movie Maker (or a replacement program altogether) that they’ll release in January 2017 with more powerful features compared to the older application. The current version has been updated to support H.264 encoding and can also handle videos up to 1920×1080 at 60 FPS, but support for higher resolutions and additional codecs is sorely lacking. I was chatting with a friend of mine the other day about this, and he suggested a different possibility: Microsoft might come up with a much more powerful editing solution and offer it as a paid application in the Windows Store. I could see either of these being the case, so I guess we’ll just have to bide our time and see. Meanwhile, since Movie Maker is fully functional in Windows 10, if you do like the program, you may wish to go and download a copy of the Essentials 2012 package just in case you can’t find it anymore after January 10 of next year. Anyway, I just wanted to give you all a heads up! I hadn’t seen people really talking about this, so I figured it might be worth pointing out!